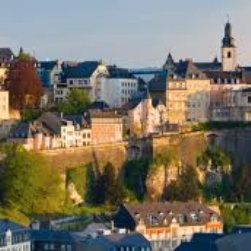 The 2015 EARTO-EIRMA joint Annual Conference was held in Luxembourg on 28-29 April 2015. The event, jointly hosted by EARTO member LIST welcomed some 250 participants to discuss “Infrastructures and Resources Sharing between Industry & RTOs in Europe”. Highlights of the conference included a video address by EU Commissioner for R&I Mr Carlos Moedas recognizing the key role of RTOs in EU innovation ecosystems as well as keynote speeches by, among others, Luxembourg Secretaries of State on Research and on Economy and EC Directors Ms Charlina Vitcheva (DG REGIO) and Mr Peter Dröll (DG R&I). Part 1 – How to construct an appropriate ecosystem to support infrastructures and resources sharing between industry & RTOs in Europe? Part 2 – How is “smart specialisation” a reality? Session 1 – Regional specialisation: what does it mean in a global competitive market? Session 2 – How important are shared infrastructures for the transfer of technology between industry & RTOs? Session 4 – Mapping research and technology infrastructures: what type of tools are available?